The Natura Mod is a fantastic mod for the latest version of Minecraft that adds in many new natural features. New trees, bushes, plants and more are all parts of the new updates. Furthermore, this mod is also available for SMP multiplayer and client singleplayer. This mod is regularly updated and is currently bug-free. There is no real way to use the Natura Mod you first of all need to download it with Minecraft Forge and then you can load up your latest save game. When loading all of the mods features should be automatically enabled. The mod also adds bags of seeds that will allow us to plant seeds at a higher speed, with a single click will plant 3×3 extensions for example. We may also use one of these bags with powdered bones to grow crops of 3 × 3 blocks. Among these new crops, there are varieties that will bring us the special abilities when we eat, such as night vision, increased jump height and increased striking force, among others. Also in the Nether find new features like trees, vines, mushrooms and new mobs to kill that will drop objects when die, you can craft a armor resistant to the fire with these. Next, download the Natura Mod and drag and drop it into the .minecraft/mods folder of your Minecraft directory. 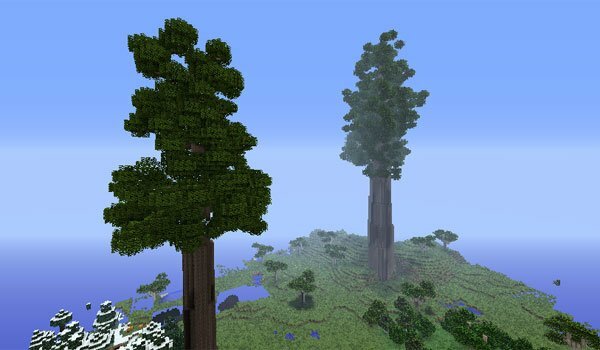 There most recent update for the Natura Mod added compatibility to Minecraft 1.7.4.